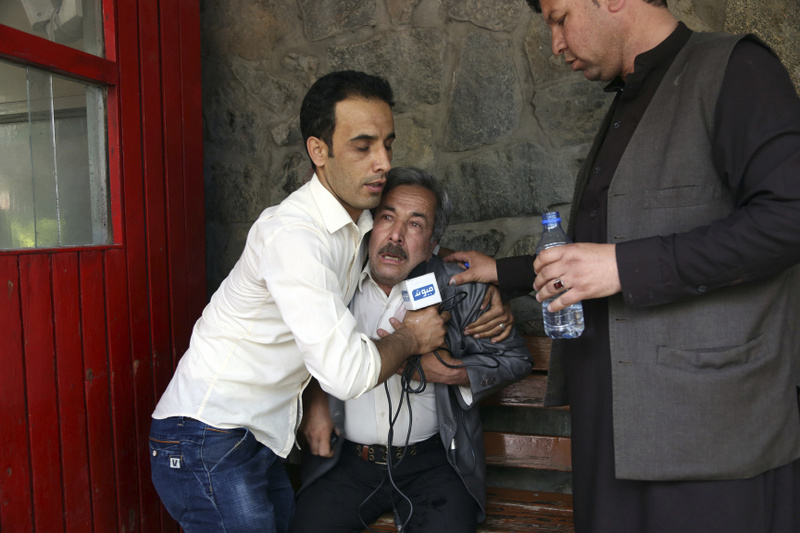 KABUL, Afghanistan (AP) — Two Islamic State suicide bombers struck in Afghanistan's capital on Monday, killing 25 people, including nine journalists who had rushed to the scene of the first attack, in the deadliest assault on reporters since the fall of the Taliban in 2001. An Agence France-Presse photographer and a cameraman for the local Tolo TV station were among the fatalities, police said. Two reporters for the Afghan branch of Radio Free Europe and a third who was to begin working there soon also were killed, Radio Free Europe said. At least 45 people were wounded in the attacks, according to Kabul police spokesman Hashmat Stanekzai, who said four police were among those killed. The Islamic State group claimed the Kabul bombings in a statement posted online, saying it targeted the Afghan intelligence headquarters. The statement did not say anything about specifically targeting journalists. 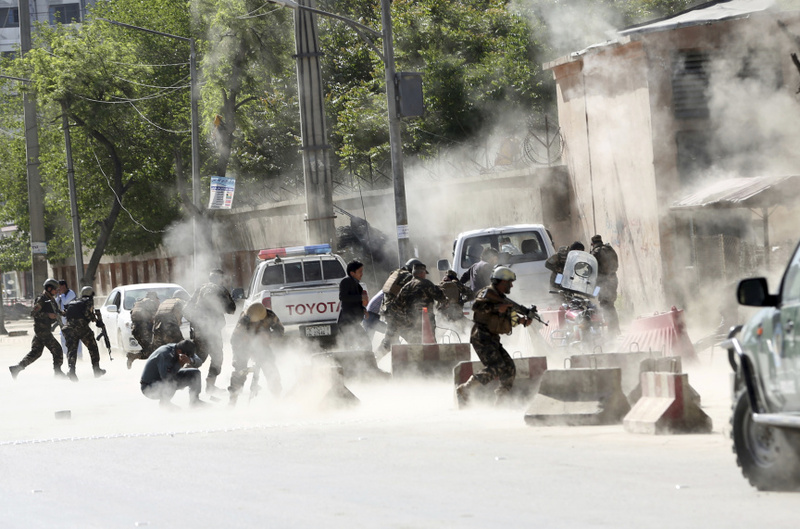 The blasts took place in the central Shash Darak area, home to NATO headquarters and a number of embassies and foreign offices — as well as the Afghan intelligence service. 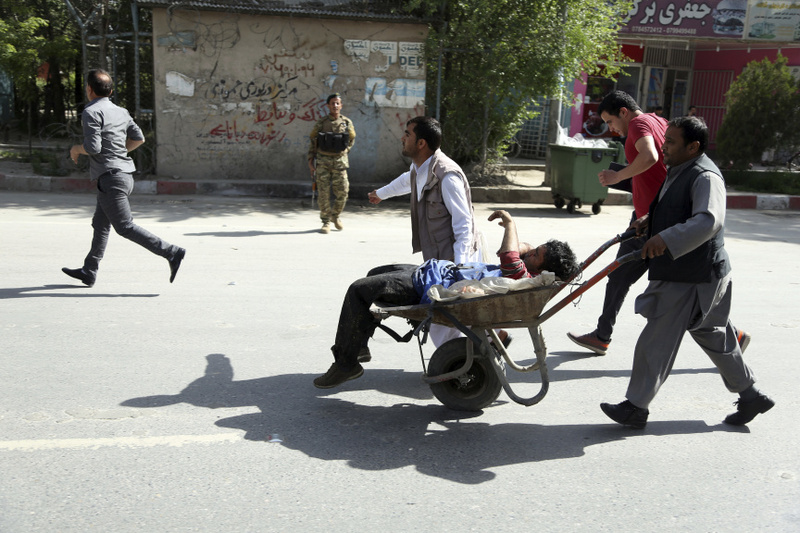 AFP said the news agency's chief photographer in Kabul, Shah Marai, was among those killed. Hundreds of people attended his funeral later on Monday. In a separate attack in the eastern Khost province, a 29-year-old reporter for the BBC's Afghan service was shot dead by unknown gunmen. The BBC confirmed the death of Ahmad Shah, saying he had worked for its Afghan service for more than a year. BBC World Service Director Jamie Angus called it a "devastating loss." "When the explosion happened, everywhere was covered with dust and fire, it was such a horrific scene," said Jawed Ghulam Sakhi, a 28-year-old taxi driver. "I saw journalists covered with blood." "I don't know who is responsible for all these attacks. Every day we lose our loved ones and no one in this government is taking responsibility for the killing of these innocent people," she said. Like many Afghans, she has one name. "We extend our deepest condolences to the families, friends, and colleagues of all the victims, including a number of brave journalists among the dead and injured," the embassy said. "Where media are in danger, all other human rights are under greater threat." IS and the more firmly established Taliban carry out regular attacks, with the Taliban usually targeting the Afghan government and security forces, and IS targeting the country's Shiite minority, whom the militants view as apostates. 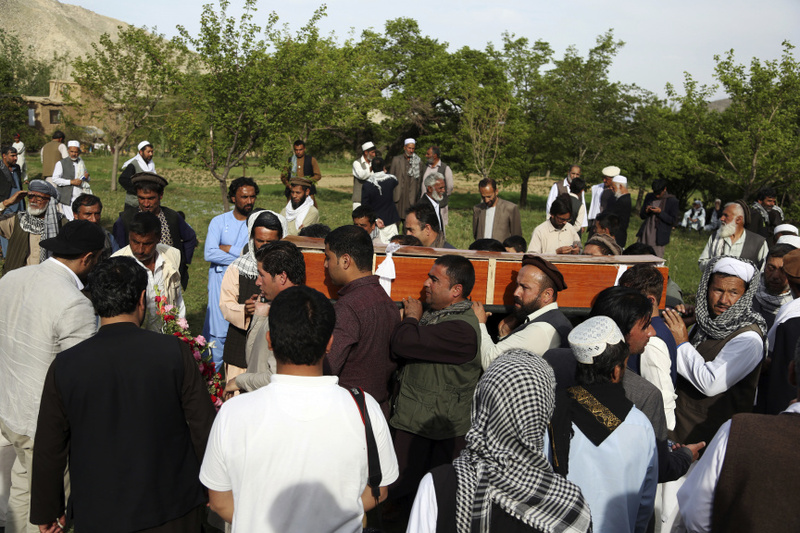 Last week, an Islamic State suicide bomber attacked a voter registration center in Kabul, killing 60 people and wounding at least 130 others. The month before, an IS suicide bomber targeted a Shiite shrine in Kabul where people had gathered to celebrate the Persian new year. That attack killed 31 people and wounded 65 others.